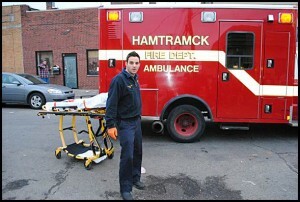 The days of the Hamtramck Fire Department providing ambulance service to the city may be numbered. The department’s two vehicles are broken down, and city officials say they can save money by privatizing the service. 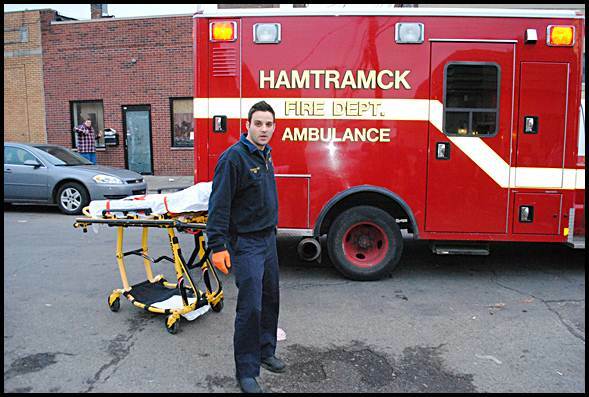 Since the 1980s, the Hamtramck Fire Department has been the city’s main ambulance service. That tradition may become a thing of the past. Earlier in the week, the city hired Detroit Medical Center to temporarily take over that service. That came soon after one of the Fire Department’s ambulances could not be started when it was about to transport a child who had stopped breathing. The city has two ambulances and both have been experiencing mechanical failures, said Acting City Manager Kyle Tertzag. He said the department’s two ambulances are not reliable and are being checked out to see how much it will cost to repair them. The older ambulance is 16 years old, and the newer one is eight years old. Firefighters are not happy with the city’s decision to take the department’s ambulances out of service. The president of the firefighters’ union, Matt Wyszczelski, said it appears the city has taken this action as a way to get contract concessions. “If they are using the ambulance as a bargaining chip, they are holding the residents hostage,” he said. The timing of taking the ambulances out of service was also questioned. At last week’s regular city council meeting, DMC made a pitch to take over ambulance service. Under the proposed agreement, there would be no charge to the city. DMC said it would instead charge the patients’ insurance companies. DMC also said it would have an ambulance stationed in the city at all times. Wyszczelski said the union has already filed a labor grievance against the city, saying the union’s contract says the firefighters provide sole ambulance service. He said any change to the contract must first be negotiated with the union. “They (city officials) have to talk to us,” he said. “When equipment goes down, we still have to provide service,” Tertzag said. Fire Chief Paul Wilk said that out of the approximately 3,000 runs the department experiences each year, 80 percent of them are ambulance runs.